7 bizarre conspiracy theories that are actually true. Are conspiracy theories ever true? Here are a few occasions when the gvmt really did what the #conspiracy theories claimed. Yesterday’s conspiracy theories often become today’s incontrovertible #facts. It’s reasonable to suppose many of the views that are now dismissed or mocked as #conspiracy theories will one day be recognised as having been true all along.. Most of the time they are dismissed as nonsense, but then there are those odd cases where something alleged to be a #conspiracy was really happening in reality. 1/ On Thursday 1 November 2018, Jonathan Karl of ABC News interviewed President Trump. One of Trump's responses went particularly viral. What follows is a partial nonverbal analysis of this interview. 2/ JONATHAN KARL (continuing at 3:49): "And finally, I remember, you remember - well on the campaign, you made a promise, you said, 'I will never lie to you'. So, can you tell me now, honestly, have you - kept that promise at all times? Have you always been truthful?" 1/ There are many nonverbal signs indicating relative levels of confidence. During last week's hearing before the Senate Judiciary Committee, Brett Kavanaugh and Christine Blasey Ford exhibited contrasting examples of one such signal. 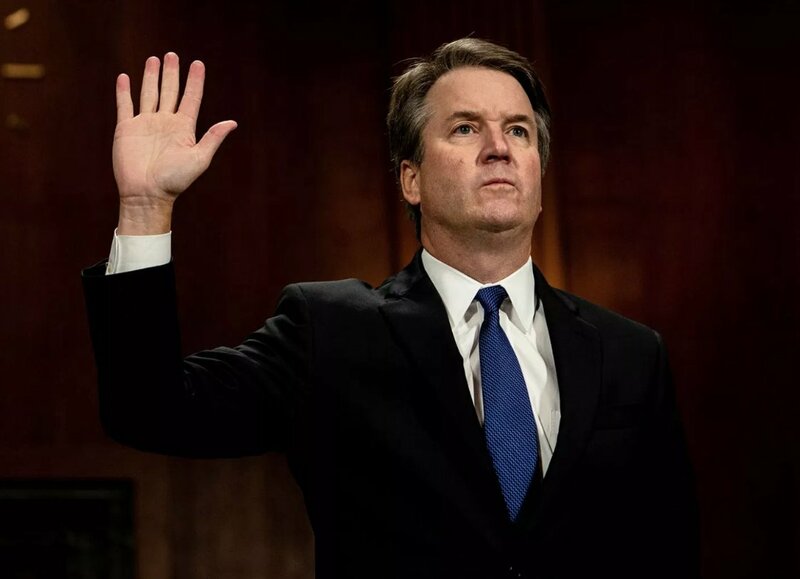 2/ When a person raises their right hand to be sworn-in before testifying, if their fingers and/or thumb are spread apart - it signals low levels of confidence. 🧐So the lies are getting bolder and more frequent, according to psychologists because we're not CALLING HIM OUT on his BS? The most common form of propaganda is repetition. This is why the @BBC repeat over and over negative stories about Labour and its Leadership but, have hardly ever said anything about the incredible criminality of the Conservative Party and its Leadership in last 8 years. Importantly, this also applies to outright #lies. Mark Twain said "A Lie Can Travel Halfway Around the World While the Truth Is Putting On Its Shoes," and he was right. But in today's world with instant communication it takes but the utterance of a lie a single time by a institution like the @BBC for a lie to be believed. 1/ Earlier today, Kellyanne Conway, Counselor to President Trump was interviewed by Chris Cuomo regarding James Comey's interview last night on 20/20. What follows is a partial nonverbal analysis of a crucial portion of that interview. 2/ KELLYANNE CONWAY (continuing at 2:58): "...Ah, No, the Democrats are mad at Comey for lots of reasons, I mean they, they blame him for her loss - I lo [stammer]- I saw, I saw Comey last night, and I said, 'This guy swung an election? I [feigned stammering] don't think so!'..."